The Crescent Arms at Mornington Cresent, 1 Camden High St, NW1 7JE has just been re-named the Lyttelton Arms in honour of Humph. Stephen Lyttelton's Herculean efforts in celebration of his late father have been directed to putting on a concert which we reviewed HERE. That concert raised £67,000. Fine idea, great man, I've raised many a glass to him in the last 40 years of enjoyment he has given me. 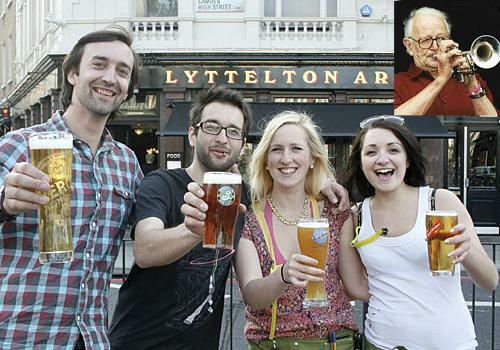 What a befitting tribute, having a pub named after such a great gentleman jazzer.